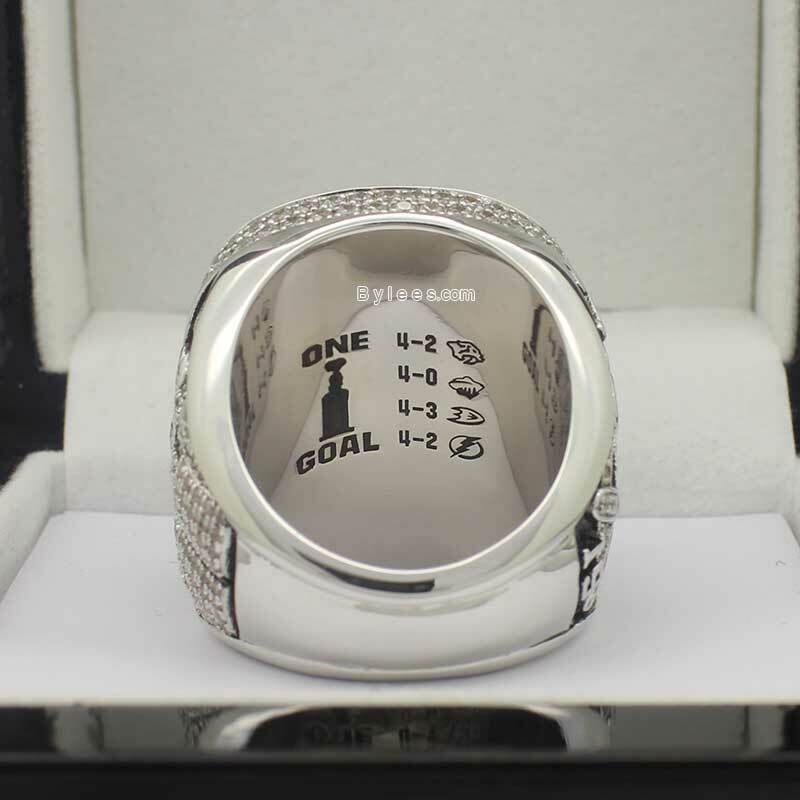 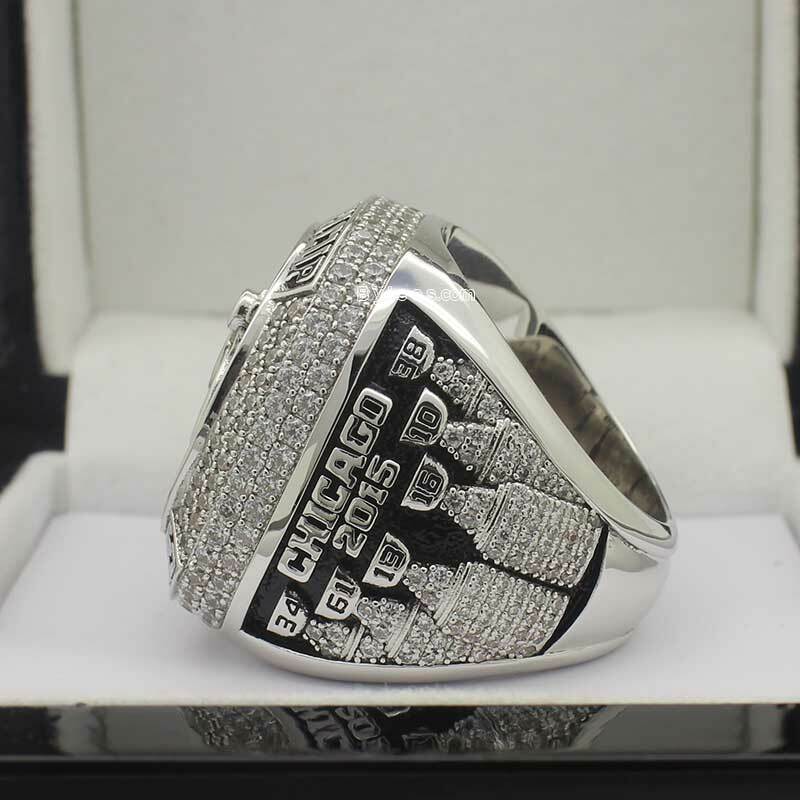 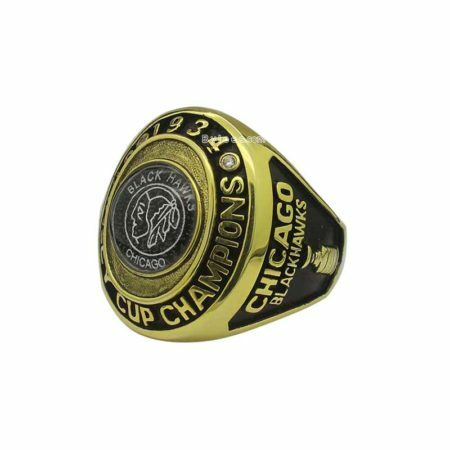 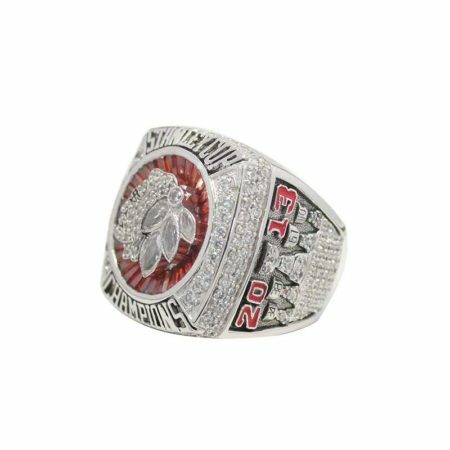 2015 Chicago Blackhawks Stanley Cup Championship Ring commemorated 2015 Stanley Cup playoffs of the National Hockey League (NHL) which began on April 15, 2015, and ended on June 15, 2015, Chicago Blackhawks four games to two in the finals to win the 2015 Stanley Cup ring. 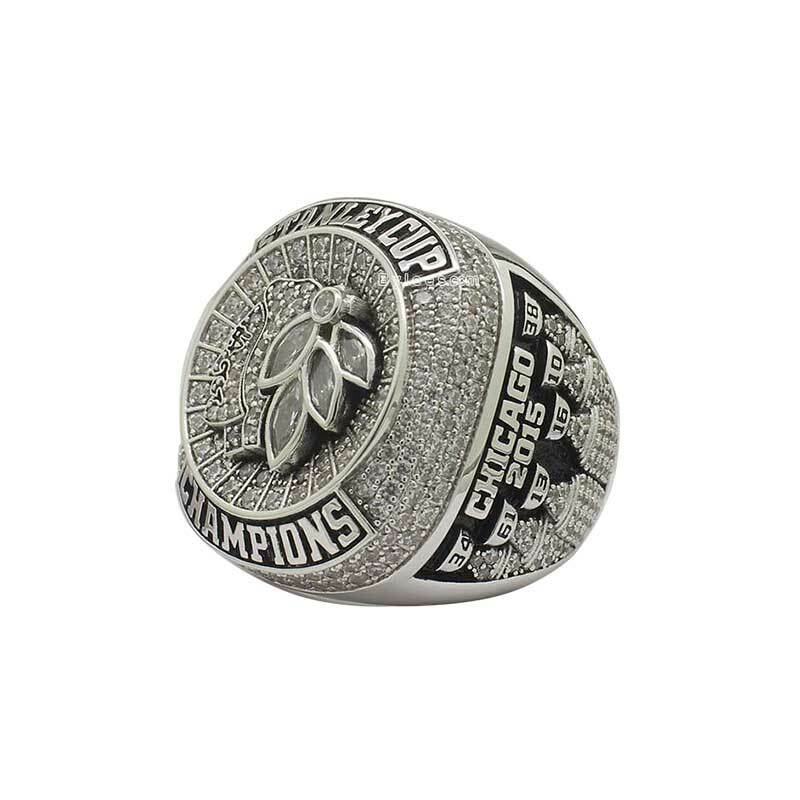 The version here is the exact copy of the 2015 Jonathan Toews stanley cup ring,this is his 3rd NHL Chicago Blackhawks championship ring. 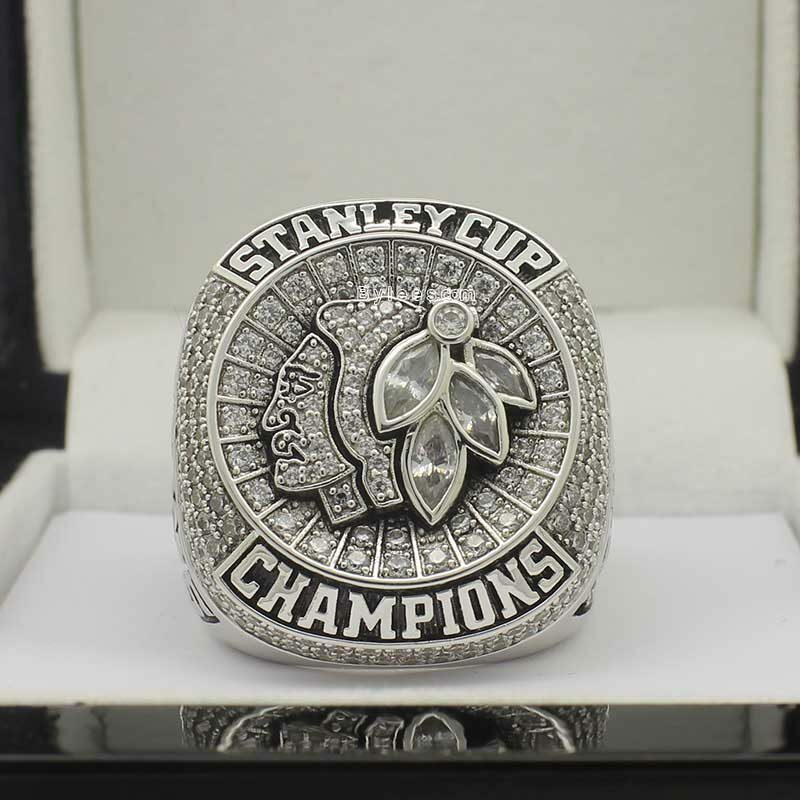 The 2015 hawks stanley cup ring is the top 20 biggest stanley cup rings, it is weird that all champioship rings are getting bigger and bigger, no matter for major league championship rings or small league championship rings. 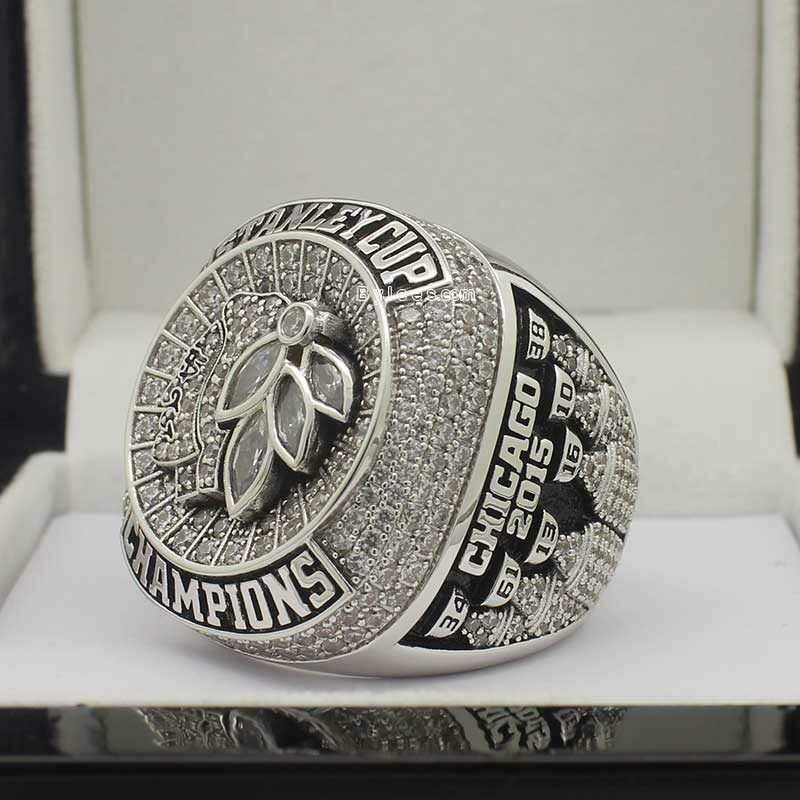 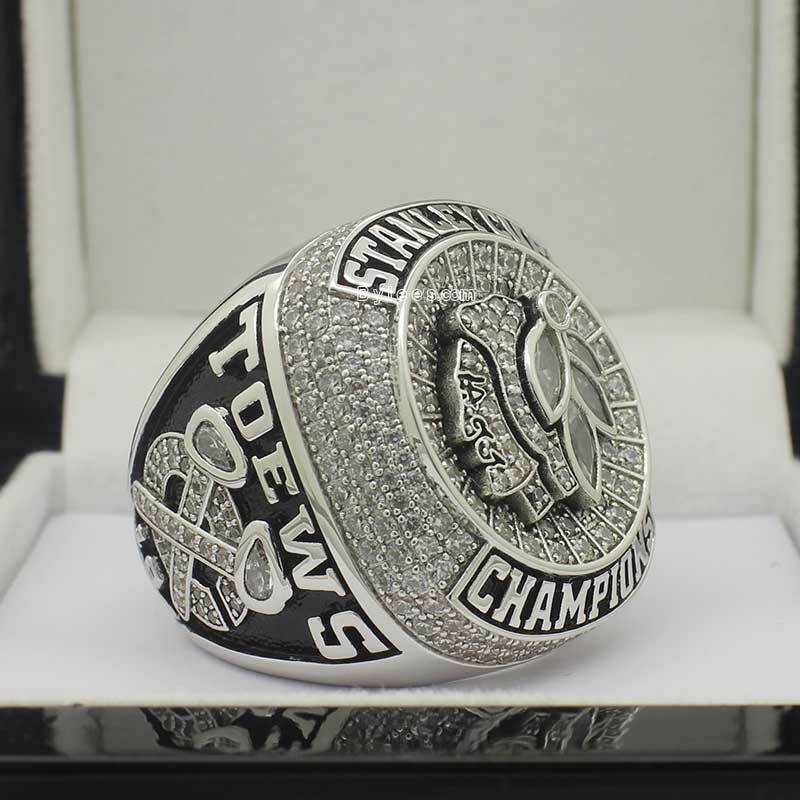 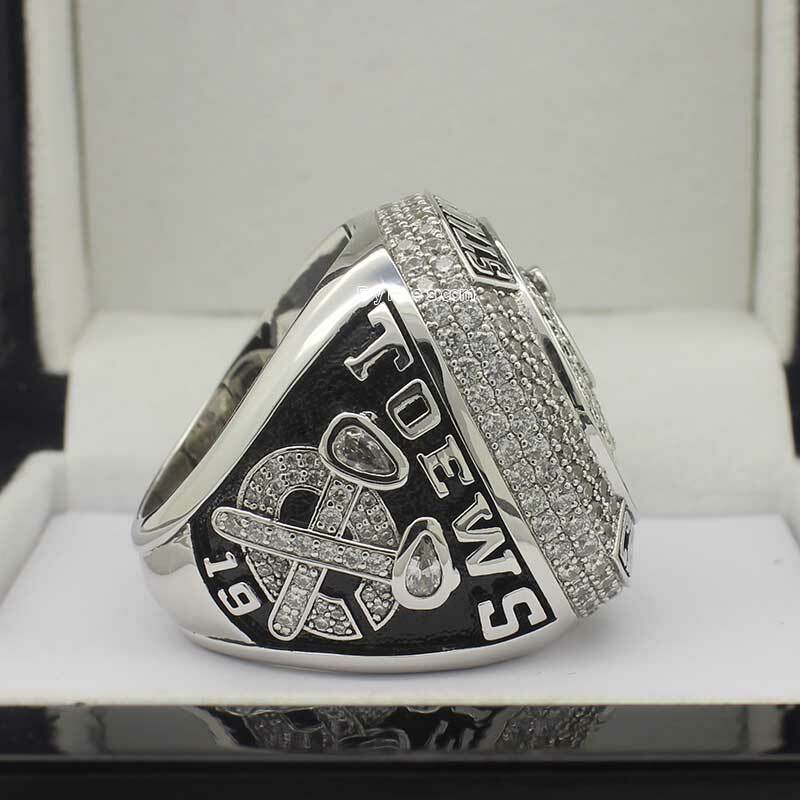 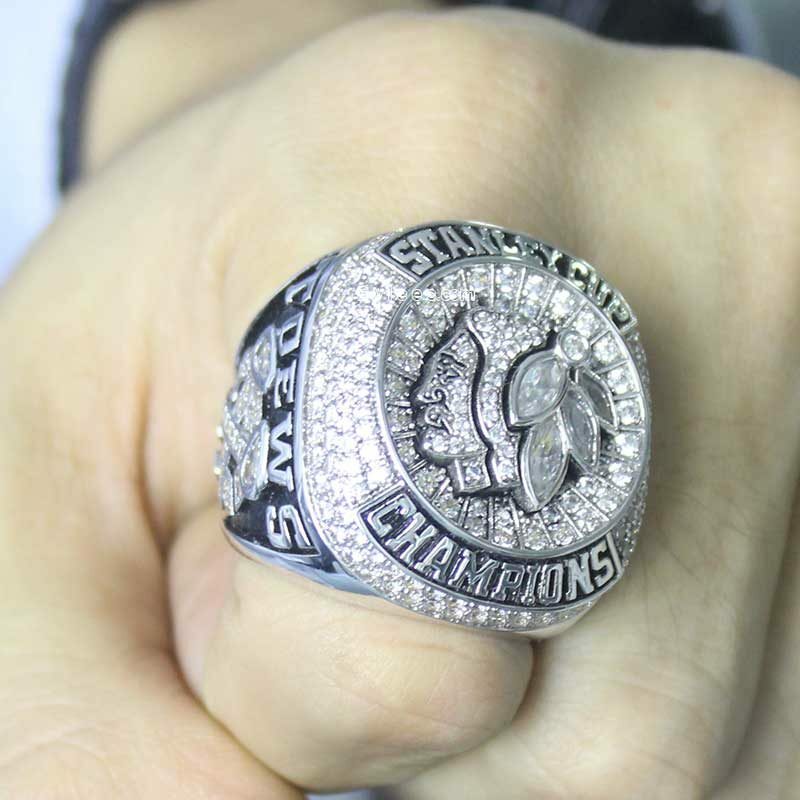 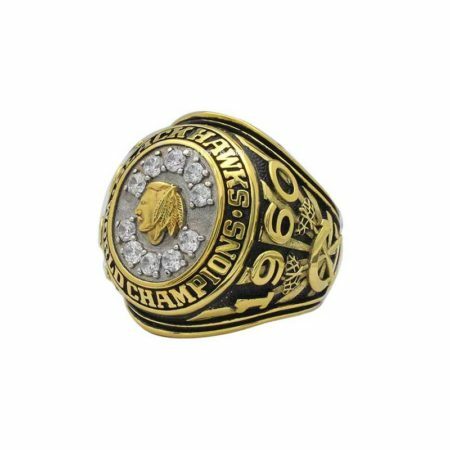 anyway, if the 2013 hawks NHL ring is the top 20 beautiful stanley cup rings, then the 2015 hawks NHL ring should be probably the top 20 coolest stanley cup ring. 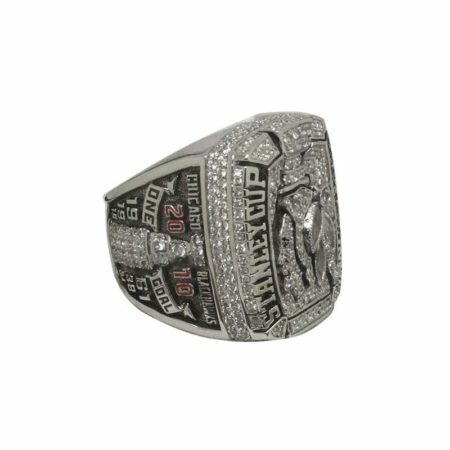 so it is totally up to you to choose.